Survey Runs in the Family at HEB! 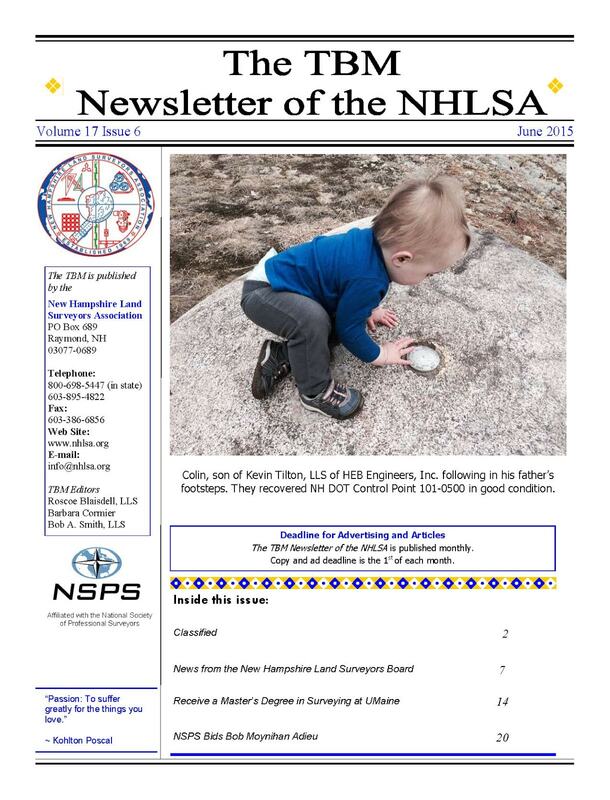 Colin Tilton, son of HEB surveyor Kevin Tilton, made the cover of the NH Land Surveyors Association newsletter this month, checking out an NHDOT control point in Center Conway, NH. The familial ties to survey are strong at HEB. When founder Ed Bergeron joined forces with Doug Burnell of Burnell Land Survey, HEB gained a multi-generational survey firm rich in Mt. 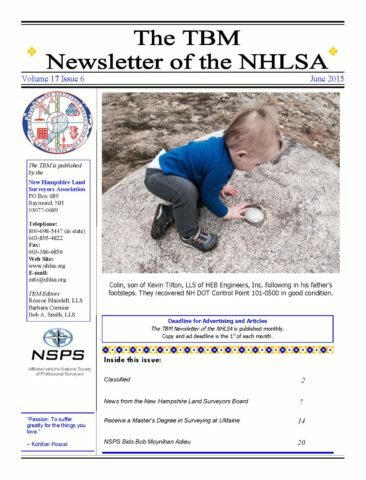 Washington Valley history. We currently host some 80+ years of Roger Burnell (Doug’s father) survey records; Doug is winding down his 30 years at HEB; and his son Seth has been at HEB as a staff surveyor since 2003. We are proud of our survey heritage here at HEB and look forward to passing it on to new generations!